Timeless and classic in design, this tankard boasts the highly polished finished bright. 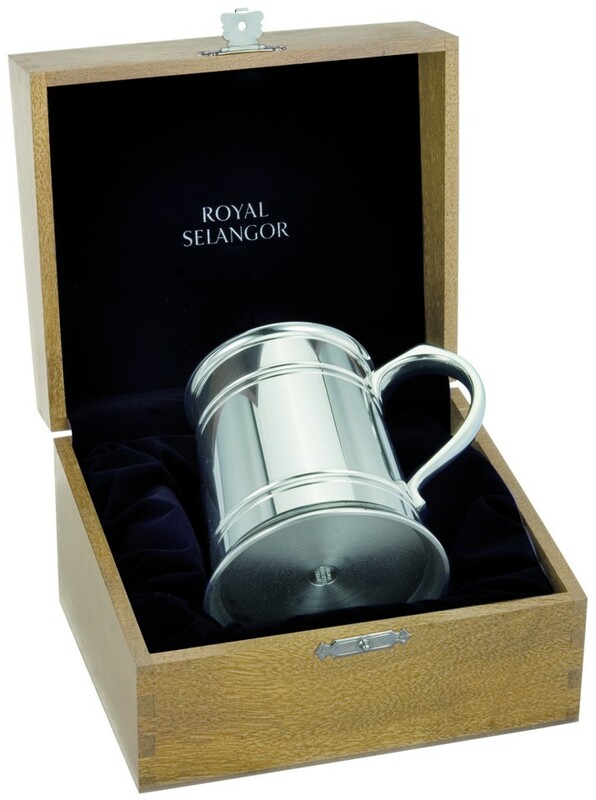 Presented in an elegant natural finished wooden box, this tankard makes an excellent gift. 1 pint, 56cl.